Bibox is a Chinese cryptocurrency exchange, which is often compared to Binance and is predicted to become its main competitor in the near future. According to multiple sources, Bibox was founded by people who were previously involved with other exchanges, like OKCoin and Binance. 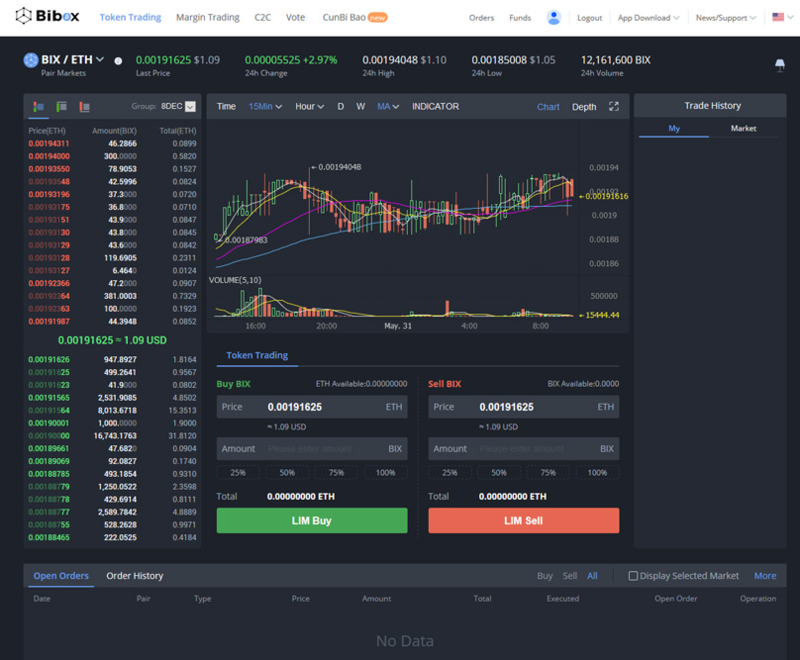 Bibox users can place trades through a web-based interface or through a desktop app as well as through an Android and iOS mobile app. Bibox is perfectly suitable both for advanced users and for beginners. The platform utilizes AI tech, which helps to predict the upcoming price fluctuations. With a total market capitalization of $266,209,600 and a daily trading volume of $266,209,600, Bibox is currently ranked 7th on CoinMarketCap.com. Despite only starting operating in 2017, Bibox is already generating a significant amount of trading volume. 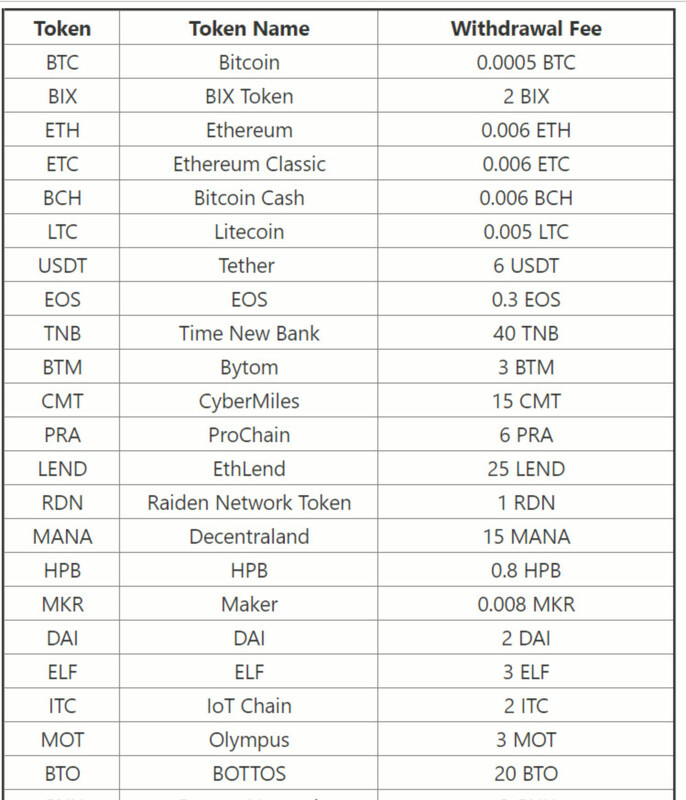 There are currently over 90 coins listed on the exchange, with 200 market pairs linked to the 5 base currencies of BTC, ETH, USDT, DAI and BIX available. When considering listing new tokens, the exchange evaluates each project's investment potential and risks, examining various factors including team strength, community support, technical strength, and project development. Bibox reserves the rights to remove particular tokens under certain circumstances to protect investors’ interests. It will make an announcement 5 days in advance if a token is to be suspended and removed from the platform. Users will have 30 days to withdraw their assets from the platform. BIX is Bibox’s native token. One BIX token is currently equal to $0.35. With a total market capitalization of $35,951,193 and a daily trading volume of $14,838,765, the Bibox Token is currently placed 141st on price tracker CoinMarketCap.com. An ERC20 based token, BIX allows holders to access discounted trading fees. Bibox Platform offers a certain amount of discount for users paying their transaction fees with BIX tokens. To start trading, it’s necessary to open an account and fund it. After setting up an account by providing the information needed, on the “Funds Details” page, find the token that you want to deposit and click the “Deposit” button. You can either use your wallet or another platform to transfer/deposit. Make sure you are depositing the correct token, as a wrongly made deposit cannot be refunded. Bibox is a crypto-to-crypto exchange. Therefore, ID verification is not mandatory, and you can deposit funds straight after creating a new account. Go to the ‘Funds’ section which is situated in the top left corner of the website and choose ‘Master Account’ in the drop-down window. To start trading click “Token Trading” to enter transaction page and choose the preferred base currency, e.g. BTC, and then search for the currency you would like to purchase. On the left, you will see the market prices people are offering. Since Bibox doesn’t accept fiat money, you have to create an account on any exchange that allows fiat-to-crypto transactions (for example, Coinbase). You have to buy BTC (or any other crypto) here and then deposit it to Bibox. Traders who purchase Bibox’s very own Bibox Token can use it to pay discounted fees on the Bibox trading exchange, something that provides an incentive for traders to buy and hold the Bibox Token. When users select “Use BIX for fees,” the trading fees will be discounted. If the option is not selected, Bibox will charge the full trading fee. Traders who do not hold the token are subject to paying a minuscule 0.1% trading fee on all trades. There are no fees for depositing cryptocurrencies but withdrawing cryptocurrency from the exchange comes with a charge of 1% of the withdrawal amount with a minimum of $15 withdrawn. If the trade receivable is ETH, the platform will calculate it by the exchange ratio of ETH to BIX at the market price, which is based on the market price of ETH /BTC and BIX / BTC. Exchange ratio of ETH/BIX = (ETH/BTC) market price / (BIX/BTC) market price. Withdrawal fees vary depending on the currency selected and fees include 0.0005 BTC for Bitcoin, 0.006 ETH, for Ethereum, and 0.005 LTC for Litecoin. Other coins are more expensive to withdraw. Bibox will support Bitcoin Cash（BCH）hard fork. It will take snapshots of assets at 00:40:00 A.M. on 11/16/2018 (GMT+8) and temporarily suspend BCH deposit and withdrawal functions at 23:00:00 P.M. on 11/15/2018 (GMT+8). The platform will announce the withdrawal and deposit resuming time immediately after the completion of BCH hard fork. Please stay tuned for the official announcement. Bibox exchange co-founder, Wang Wan Lin, has filed a legal lawsuit against his former right-hand man, Wei Liu for falsely claiming ownership of his company's venture, which also involves an amount of money of over $3 million. The story began when Bibox Groups Holdings Ltd. decided to form a new venture, named Investre Network following the success of Bibox exchange. Wang said he hired Liu to help him with the launching of the new crypto management platform and instructed her to create 2 corporate entities and put his name and his business partner, Yang Han Chao as the sole managing members and shareholders. According to the lawsuit document, instead of doing as per the instruction, Liu named herself as the sole managing member and shareholder of the new entities and hid it from Wang. Responding to the lawsuit, Liu's attorney from Duval & Stachenfeld LLP, New York, Timothy Pastore said the accusations against his client are not true and that Liu is the actual person in charge of the venture.